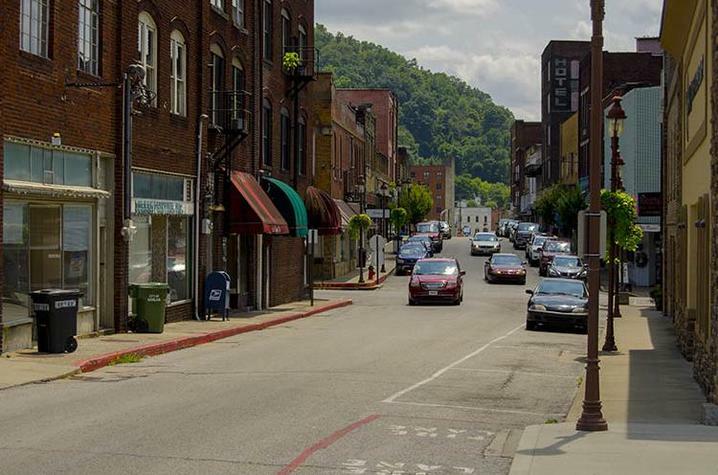 Downtown Harlan, Kentucky. Photo by Carol Lea Spence, UK Ag Communications. LEXINGTON, Ky., (Aug. 30, 2018) — University of Kentucky’s Community and Economic Development Initiative of Kentucky was awarded the 2018 Distinguished Extension/Outreach Program Award at the Agricultural and Applied Economics Association’s recent annual meeting in Washington, D.C. The honor recognizes CEDIK’s excellence in extension economics education programs, in particular, the overall effectiveness, impact and contributions of its program. Alison Davis, UK agricultural economics professor, launched the group in 2010 to provide an innovative solution to enhance the Community and Economic Development program within the UK Cooperative Extension Service. CEDIK's research and engagement focuses on economic development, community health, community design, leadership development and arts engagement. Its staff provides training in community, economic and leadership development topics to all Kentucky extension personnel, regardless of program area. In addition, CEDIK assists community leaders and organizations in their efforts to improve the local economic base by building entrepreneurial ecosystems and providing support to retain and expand existing businesses. CEDIK’s research program is dedicated to economic development, rural health economics and local food system development. They work with local, nonprofit hospitals to develop Community Health Needs Assessments, identifying the current health needs of the population served, with special emphasis placed on the underprivileged, low-income and medically disadvantaged population. In many instances, the county extension agents were involved and are now part of a new interagency health coalition. Another CEDIK program has developed County Data Profiles for all Kentucky counties, presenting community leaders with useful and digestible data at the county level. Davis, CEDIK director, leads a diverse, multidisciplinary team that has built strong, ongoing partnerships with the Kentucky Small Business Development Center, the Cabinet for Economic Development, the State Office of Rural Health, Kentucky Highlands Investment Corporation, Kentucky Association for Economic Development and Kentucky Hospital Association. Regionally, CEDIK works closely with the Southern Rural Development Center and Purdue Center for Regional Development. CEDIK resides within the UK College of Agriculture, Food and Environment. More information about the initiative and its programs is available online at http://cedik.ca.uky.edu/.